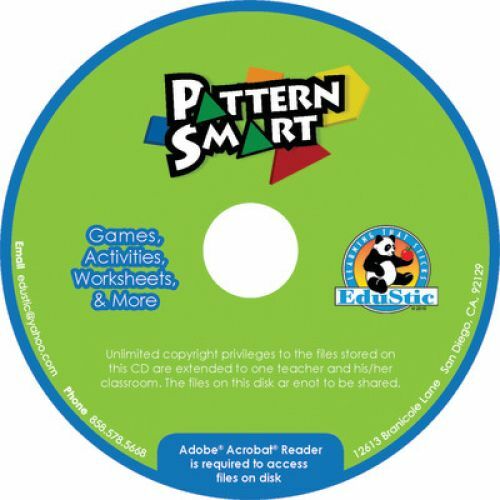 Pattern Smart is a fast-paced pattern-recognition game that develops familiarity with patterns and shapes naturally. Players race against each other to create a pattern from a flip chart. Each Pattern Smart flip chart booklet has three levels – basic, intermediate, and advanced. The patterns become more difficult with each round of play. As players progress through the flip chart, they will increase math confidence, geometric aptitude, and critical thinking ability. Players will also become familiar with the properties of triangles, squares, rhombuses, trapezoids, and hexagons intuitively, without traditional textbook-style memorization. 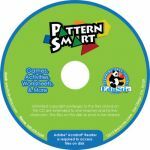 Our updated Pattern Smart Kit with CD includes 200+ pages of worksheets, lessons, activities, and more!